was born at British kingdom royal colonial city Howrah .In terms of technique, Satadru is a multi-disciplinary artist – equally at home painting large canvases, creating his own performance art, or creating his light installations also other phenomenology involved his work . Having gained his degree and masters in painting from the renowned Visva Bharati University Santiniketan in 2000, he received the prestigious Fulbright Scholarship at the University of California. It was here, while majoring in Digital and New Media, that he also developed his obsession and understanding of light across creative forms – from painting, to animation and movies and perfomance art . Satadru is the recipient of several awards and residencies and his work has also been bought by famous contemporary col lectors as well Schema Art Museum, Korea. He has a strong international exhibition history having shown his work many times in the USA (including the Lincoln Centre in New York, and The Museum of Art and History in Santa Cruz as well Schema Art Museum ,Korea ,Cheongju Contemporary Art Museum), Malaysia, Korea ,Hong Kong, South Africa, Vietnam, Iran and Germany. He has also participated in the Biennales in Iran, Cheongju International craft Biennale ,Pune , Bodhgaya Biennale and Athens. His work also showcase international art fair That Art fair, Cape Town,Cheongju International Art Fair South Korea,Joburg Art Fair at South Africa ,United Art Fair Delhi,Art Fair Cologne Paper Art Cologne Germany, Art Expo Malaysia and Indian Art Summit, India. He did many performance as well workshop at group show USA, Dubai, AbuDabi ,Bulgaria,Tallinn,Germany, China ,Vietnam ,Korea , South Africa ,Australia Nepal, India and Bangladesh . Cultural program on Korea published his performance CD . Last project was Cheongju Contemporary Art Museum ,China part of Parabiosis International Art show . Iran Contemporary , Art Biennale, Cheongju International craft Biennale , Pune-Biennale ,Mohor-Biennale,Pune , Agora 4th Athens Biennale, international network of large-scale periodic contemporary art events.He take part many Museum Show like this The Museum of Art & History, Santa Cruz California, Lincoln Centre , New York City ,Schema Art Museum, Korea . Contemporary Art Museum, Iran, museum in Chongqing,China .He is National and Internationally renowned. 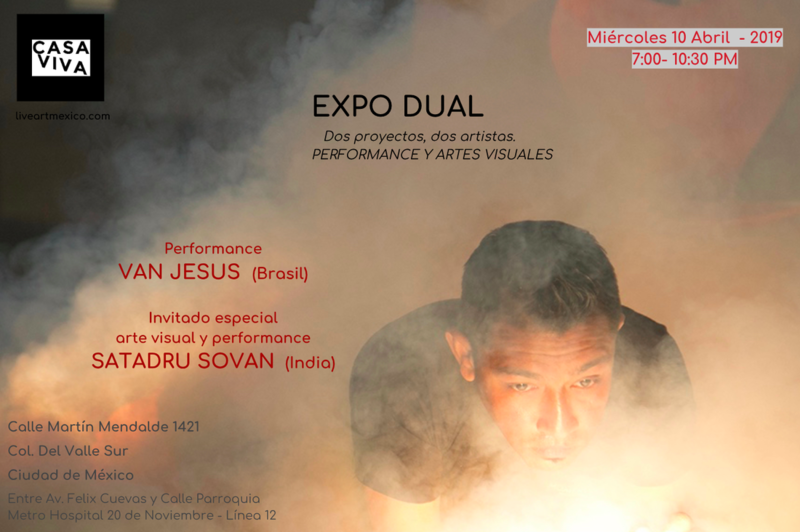 Curator and organizer of performance festivals and video art shows in Brazil, Paraguay and Spain. She collaborates and shows in festivals of urban intervention in latin America, Europe and Asia. She works in the field of urban intervention, performance in public spaces and performative installations and video-performances. Since 2010 she works and researches artistic mediation in art spaces like Sao Paulo Biennale, Mercosur Biennale, Museo Murillo La Greca in Brazil and cultural centers of Perú, Paraguay, Argentina and Chile. Studied music production technology in 2011 by Anhembi Morumbi University in Brazil and received a masters in cultural production from the Faculty of Economic Ciencies from the Universidad Nacional de Córdoba in Argentina 2014. Now a days she is doing a master in Artistic production from the Universitat Politécnica de València where she is researching how artistic creation can help communities affected by catastrophes.